News Flash: aLearning Trail Guide is Now Available in MORE e-versions! 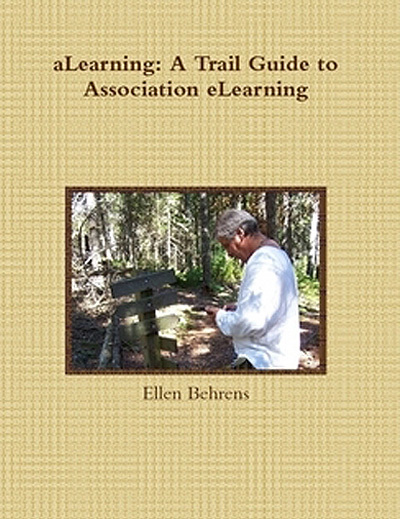 It’s been a long time coming, but aLearning: A Trail Guide to Association eLearning is now available for reading on your Kindle, Nook, or Kobo device. Prices range from $9.99 to about $13. I’ve always believed this book is best used in print format, but so many people rely on their tablets and phones for content now that I decided to release this book in these formats. The continued popularity of the aLearning book shouldn’t surprise any of us, but despite planning to retire the book, it sells consistently enough that I know its practical, step-by-step instructions and procedures for developing an online strategy haven’t lost their value, despite some changes in technology since the book was first published. As always, if you purchase the book, have questions about various aspects of the strategic planning process or other topics, feel free to contact me directly by e-mail.